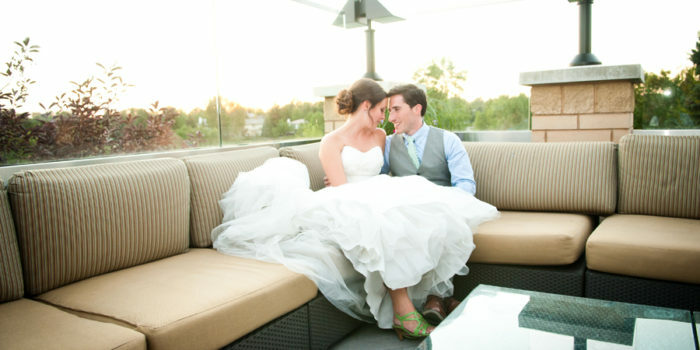 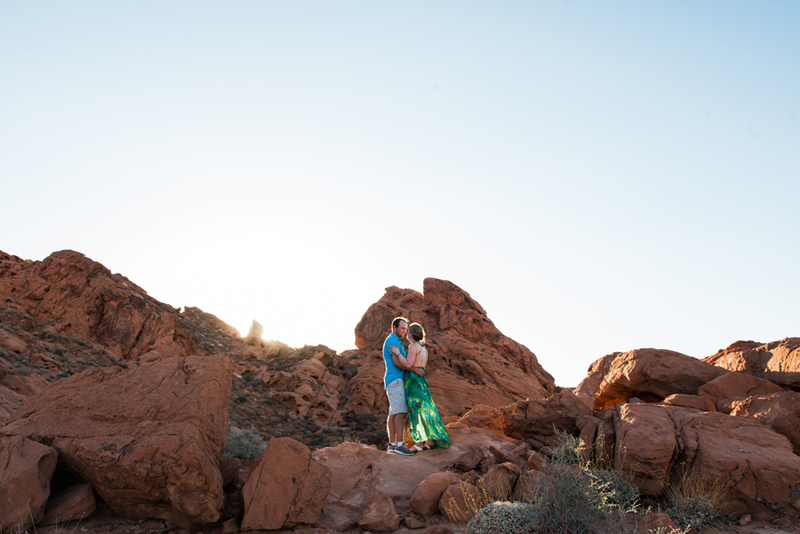 Earlier in May I posted Brittany and Jon’s Las Vegas wedding at the Cili Restaurant at the Bali Hai Golf club. 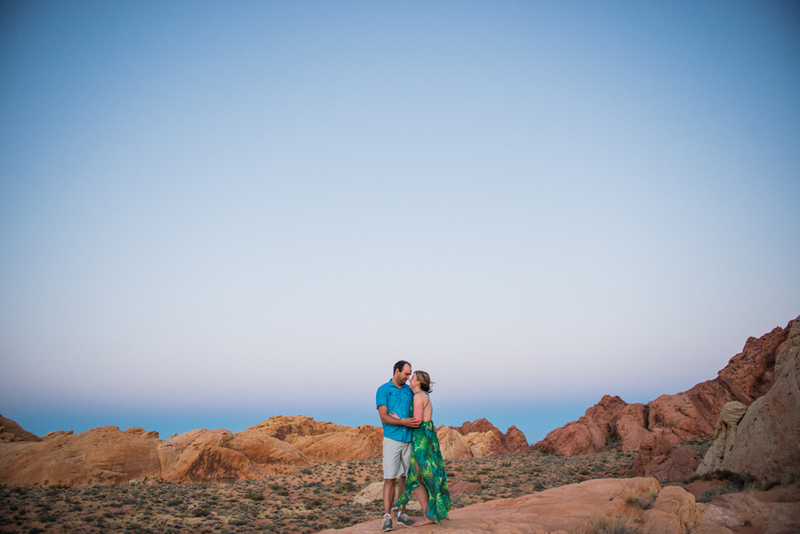 Well the day after the wedding we got to jump in a rental car and head out to the Valley of Fire State park at sunset. 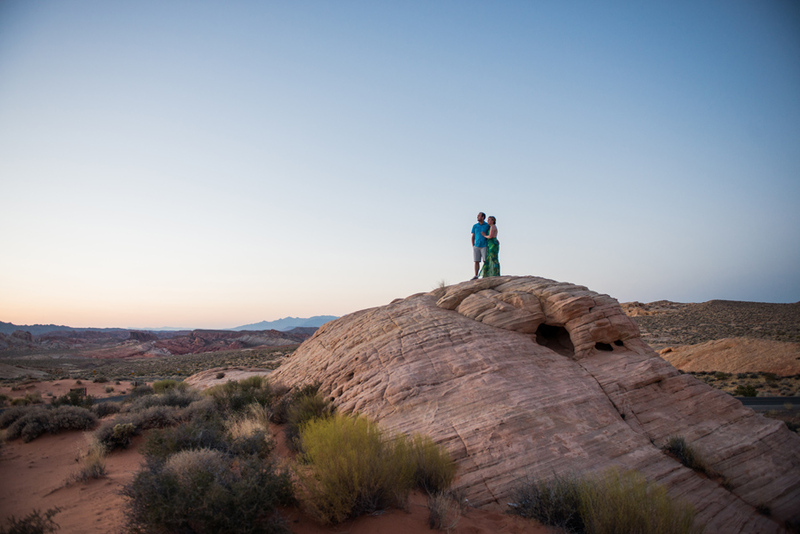 A bucket list location for sure. 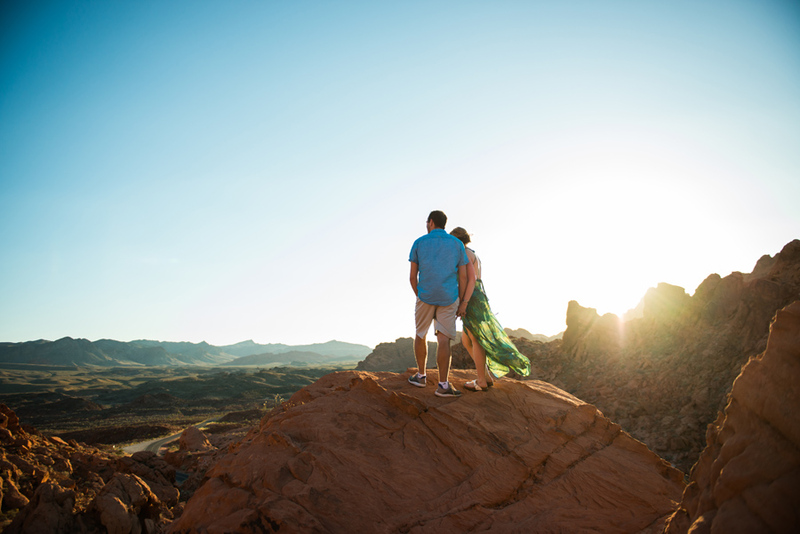 The scenery was jaw dropping and I would jump at an opportunity to go back and explore even more. 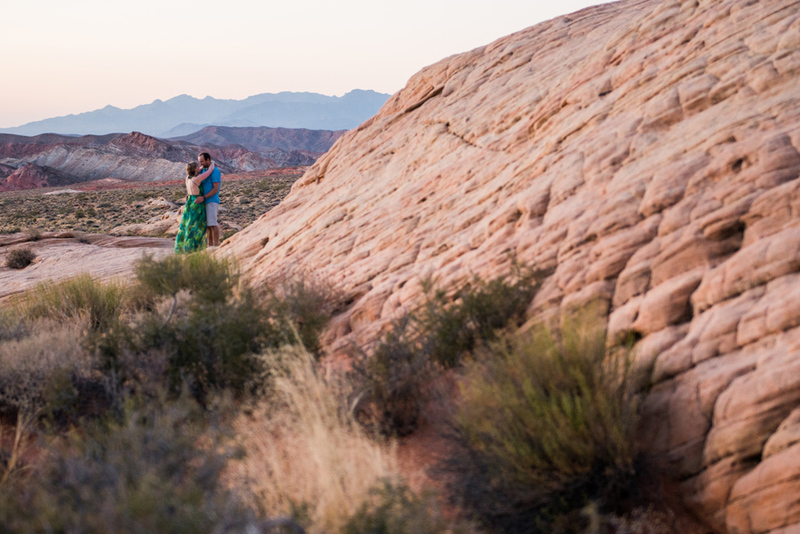 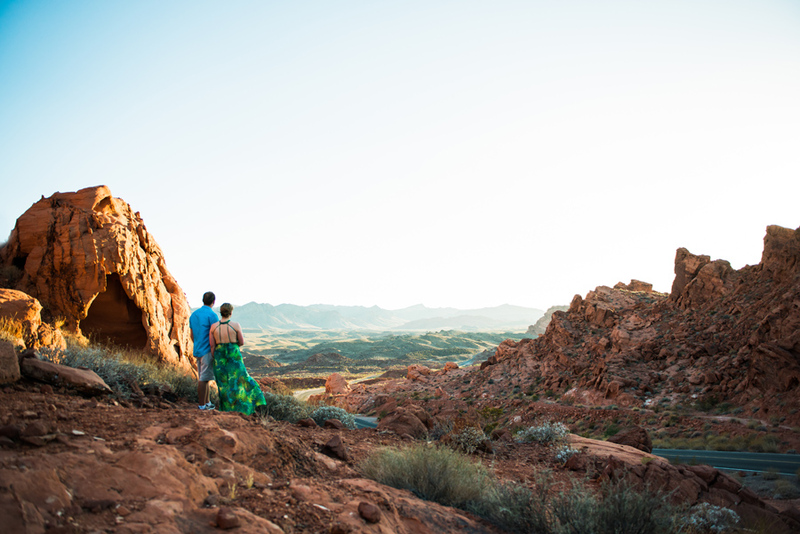 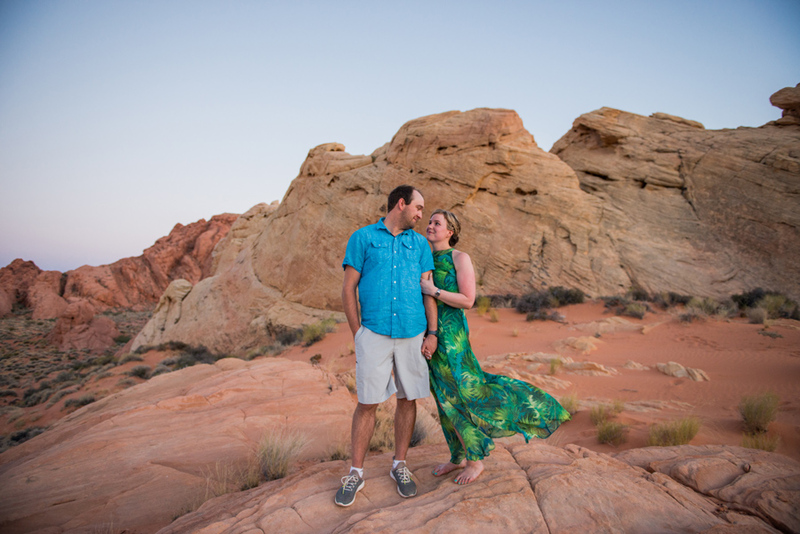 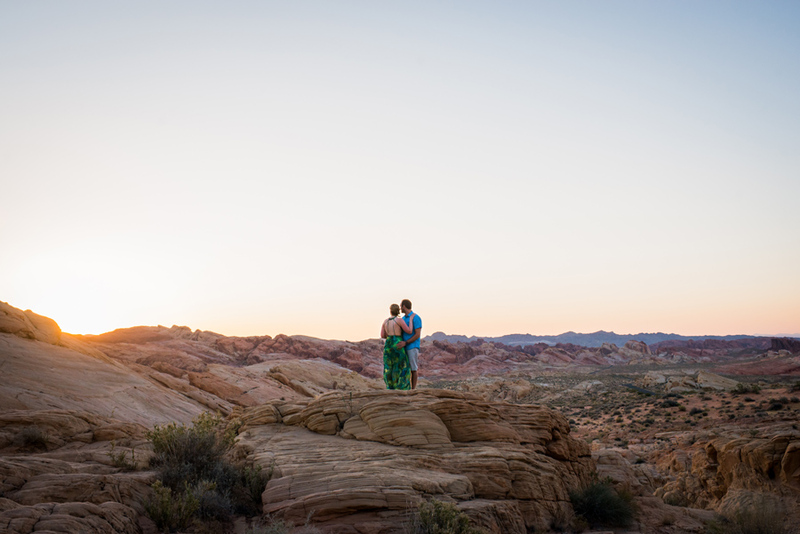 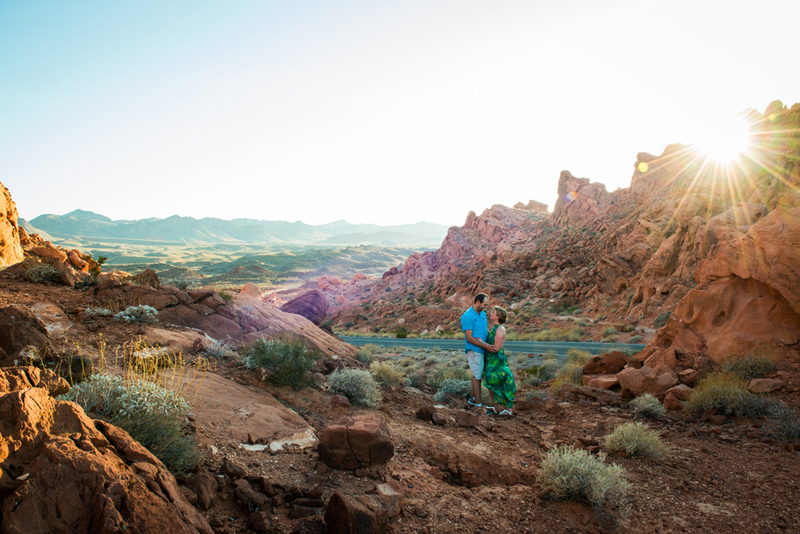 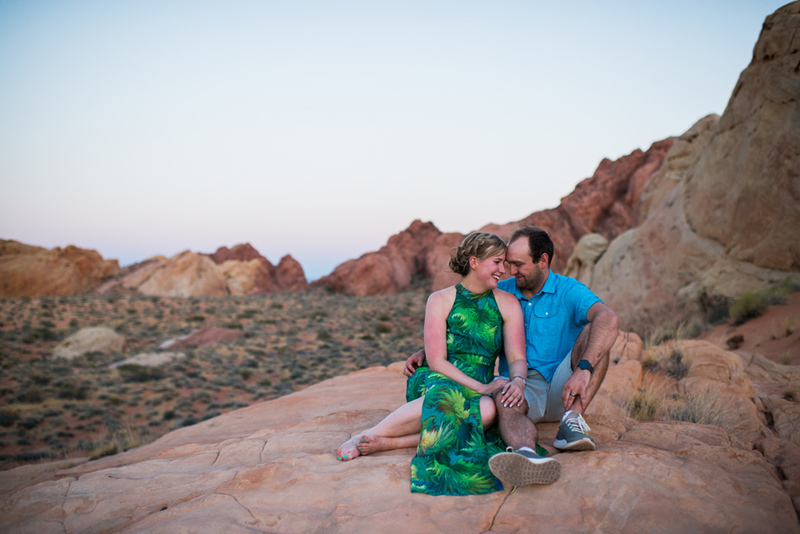 The Valley of Fire is a perfect spot for a couples session, really it is the perfect spot for any session. 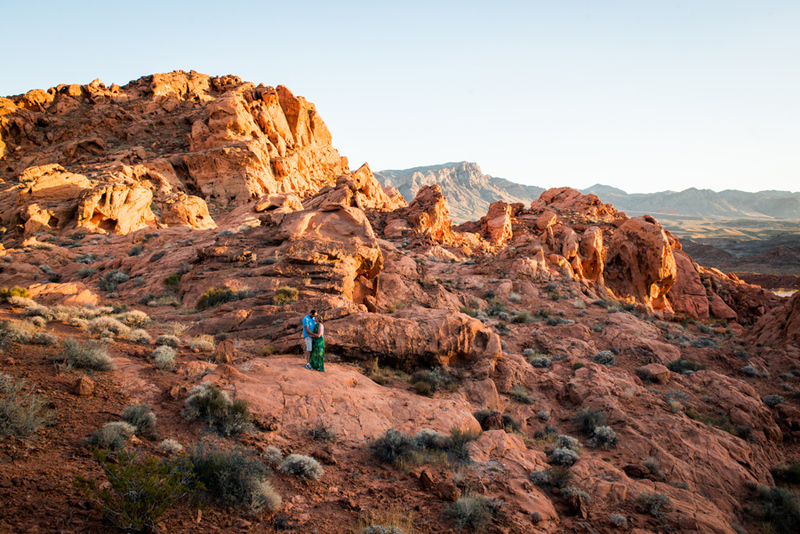 It was another hot day – 45 degrees – where thinking makes you sweat. 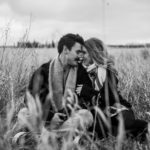 But it didn’t really matter. 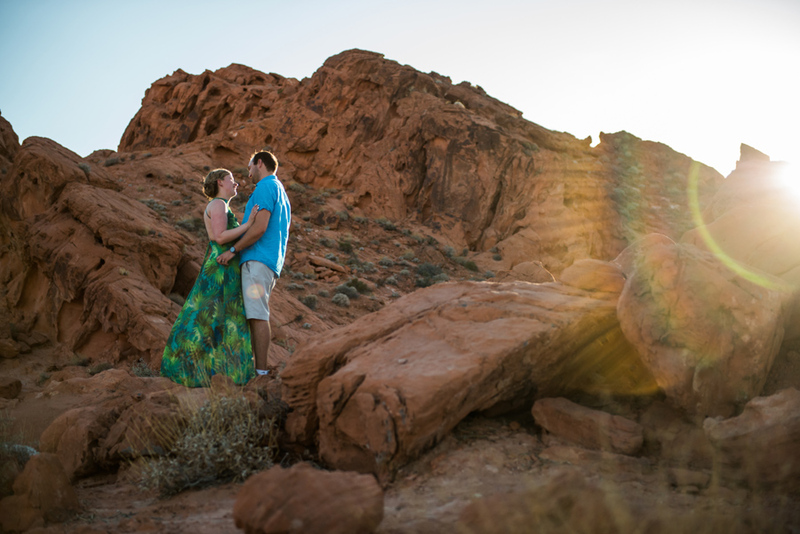 Boe and I were just stoked to be working with these two again and in such a stunning location like the Valley of fire. 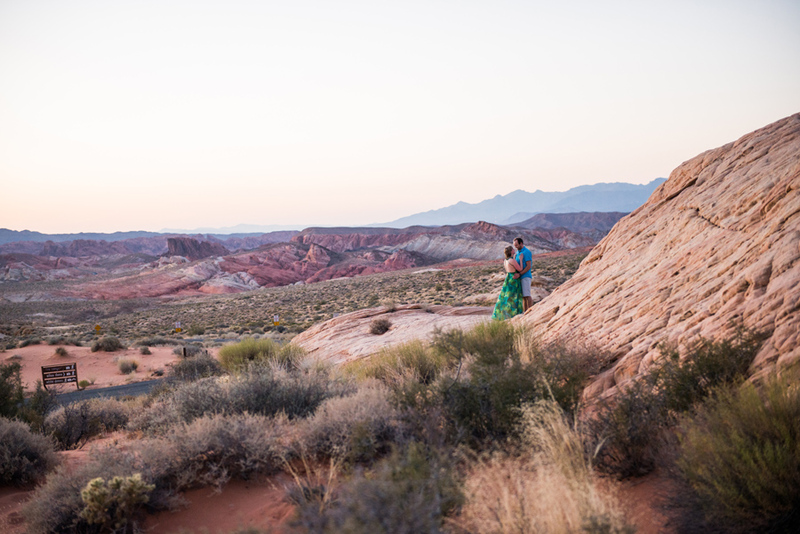 Every where you looked was an epic shot. 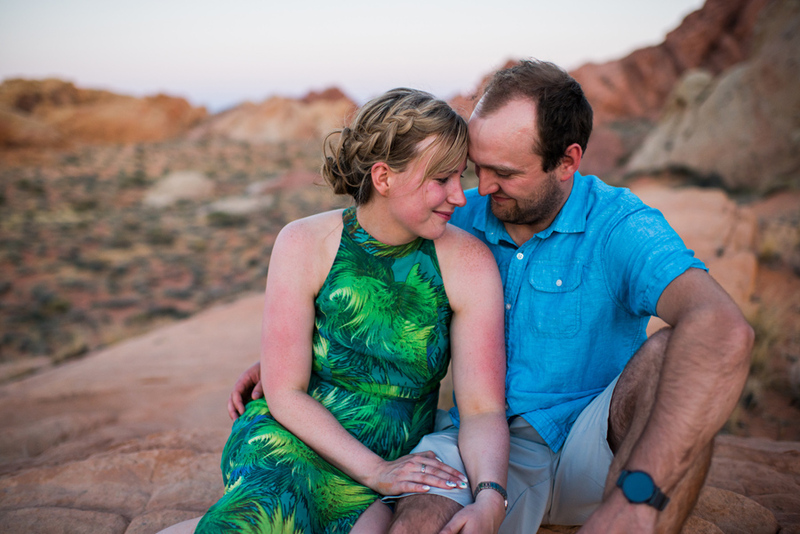 Brittany opted out of wearing her wedding dress again because of the heat and the hiking that would happen but she kept the tropical theme of her wedding day in her outfit choice which I loved. 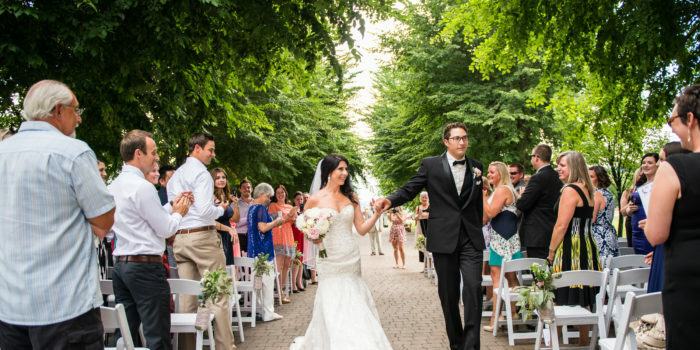 Her dress even matched the Swell water bottles that she gifted all her bridesmaids. 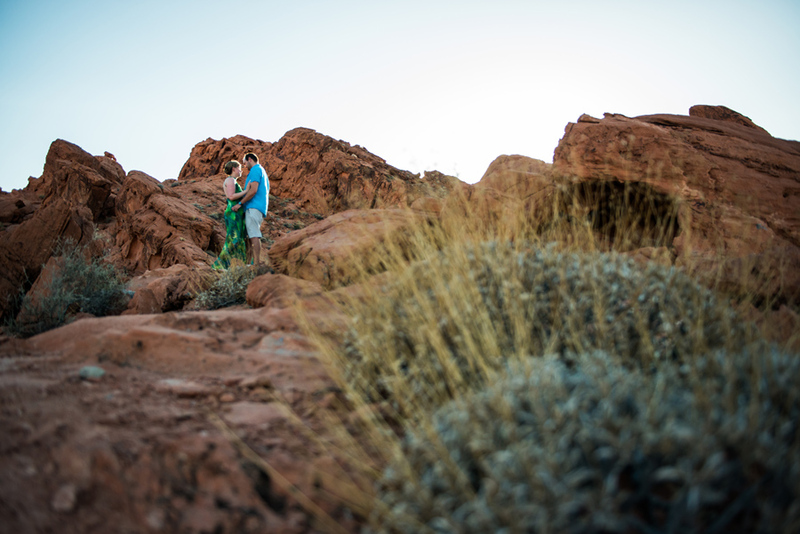 It all comes down to the details and they were spot on for Brittany and Jon’s Valley of Fire Couples Session.